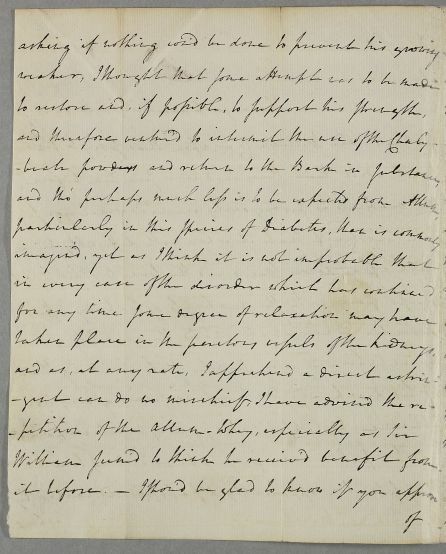 Letter from Dr Walter Riddell concerning the case of Sir William Carr of Etal, who is diabetic. His condition is getting worse: his weakness is increasing and he has developed some urinary incontinence. 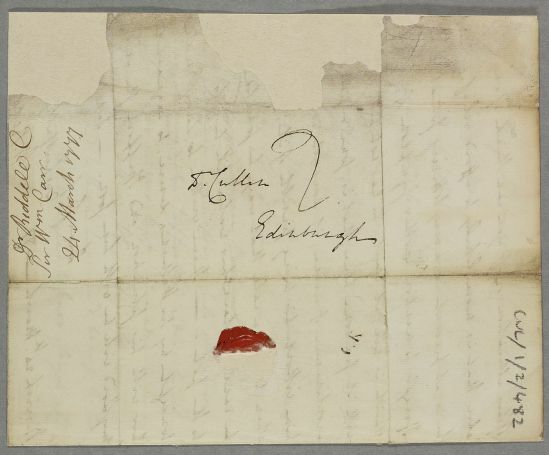 Riddell has written to Lady Erroll, Sir William's daughter, at his request. 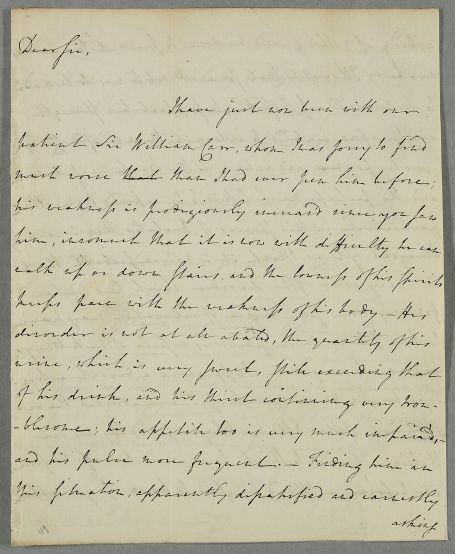 Summary Letter from Dr Walter Riddell concerning the case of Sir William Carr of Etal, who is diabetic. His condition is getting worse: his weakness is increasing and he has developed some urinary incontinence. 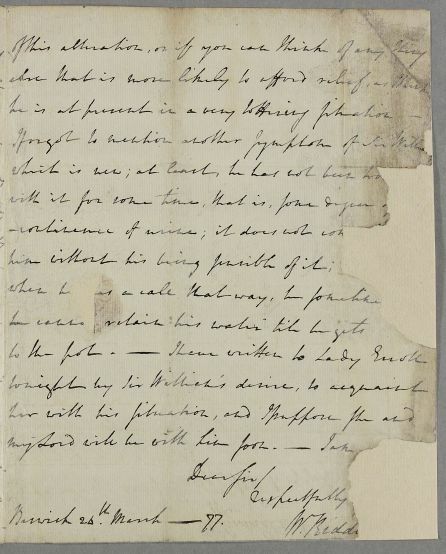 Riddell has written to Lady Erroll, Sir William's daughter, at his request. Case of Sir William Carr [Kerr] of Etal [Etall] with urinary retention and a suspected diabetes.